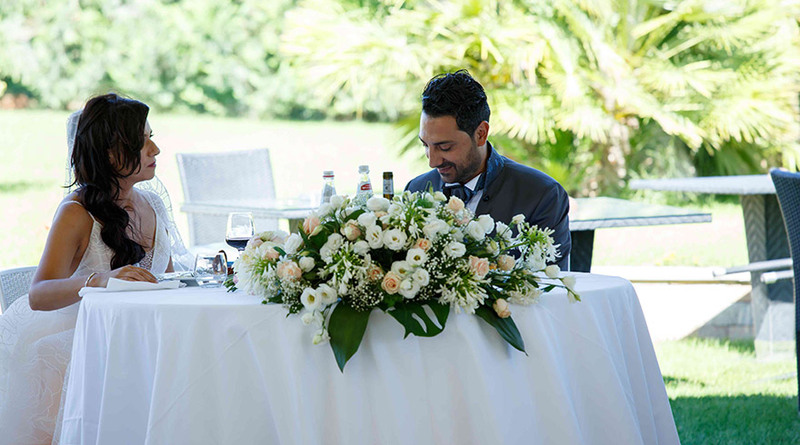 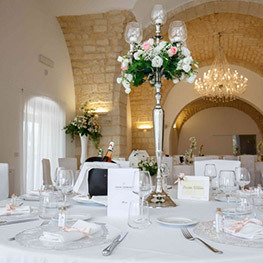 One can celebrate his Civil Wedding into Casale Cisternino, wedding location among Foggia and Manfredonia, a green oasis recently restored. 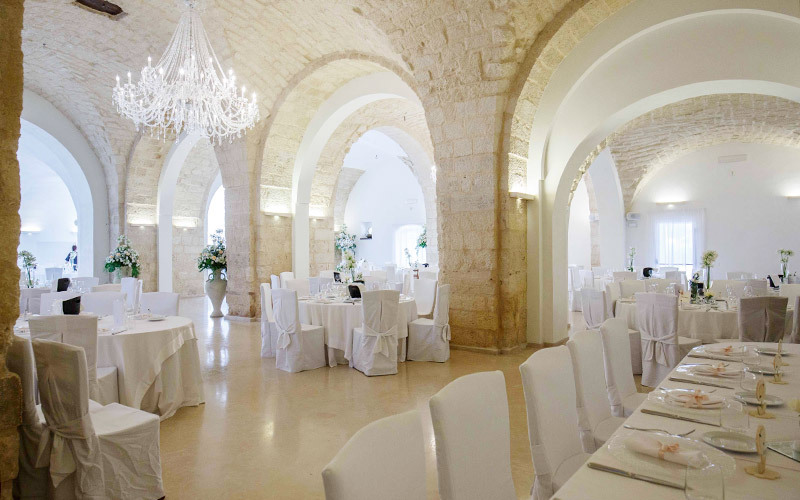 A space that has been projected for civil weddings, by paying a great attention to every detail, in a intimate and elegant atmosphere. 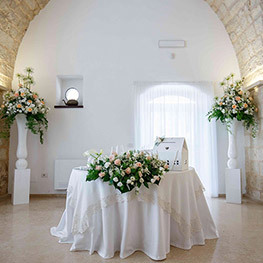 Come visit us to find out all our services and plan with us your event. 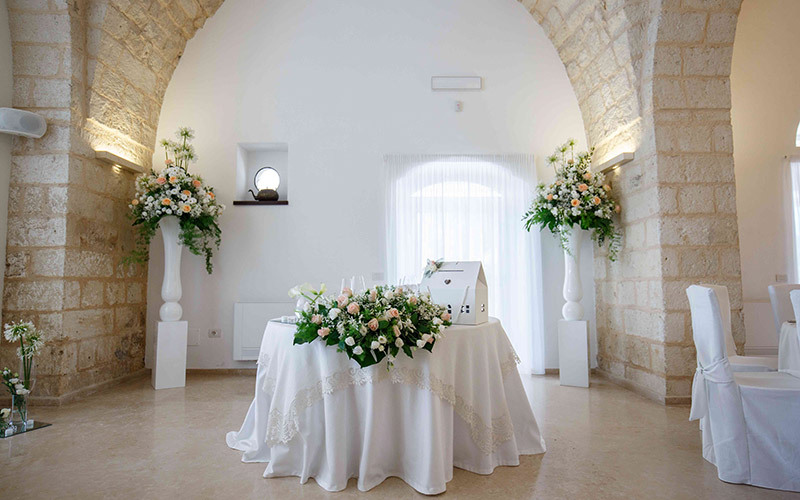 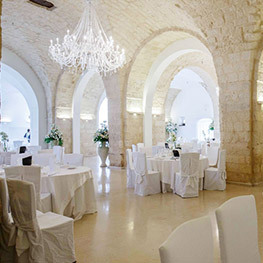 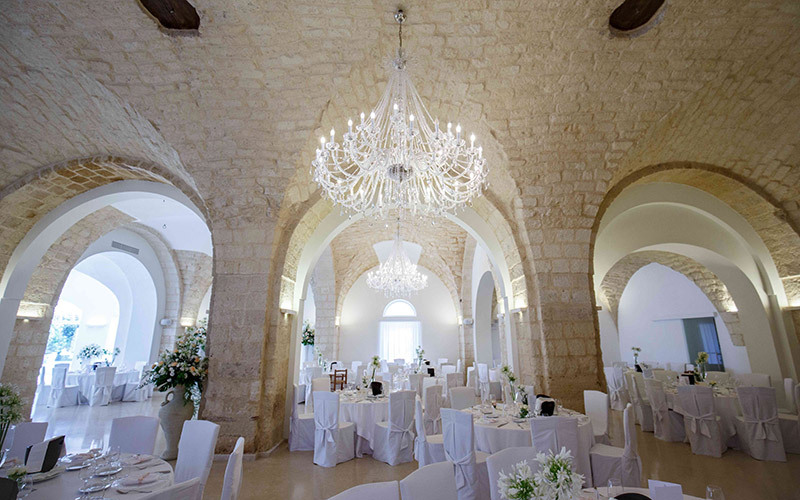 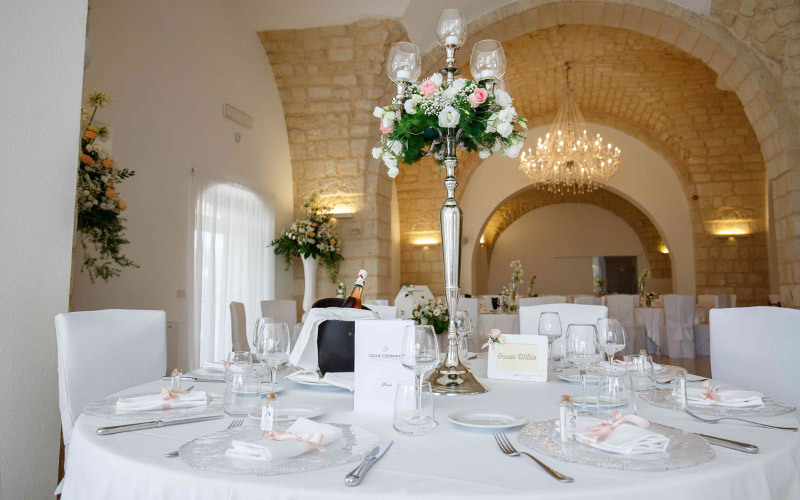 The room that has been planned to host ceremonies, flagship of Casale Cisternino, offers its best about hospitality and comfort and it represents the ideal solution to host important receptions. 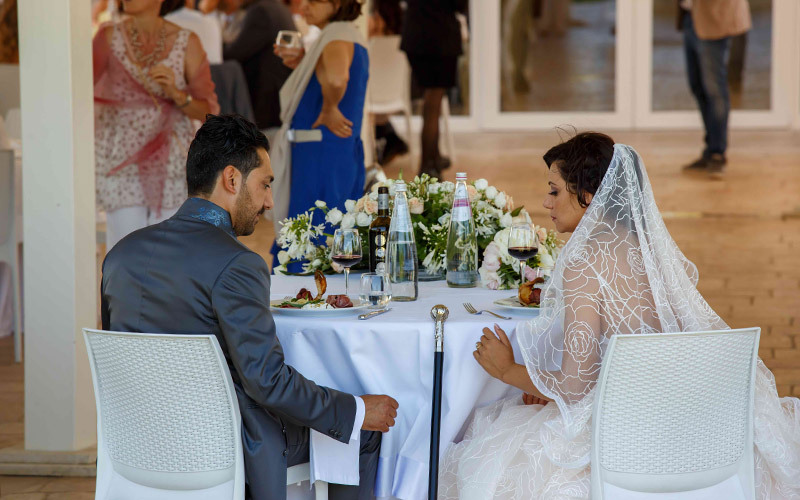 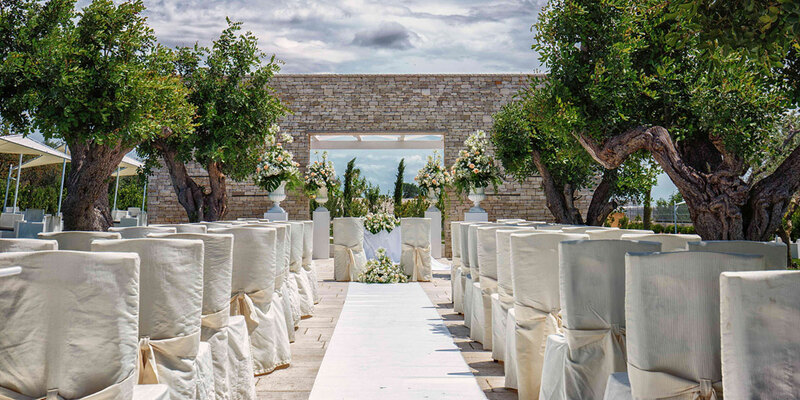 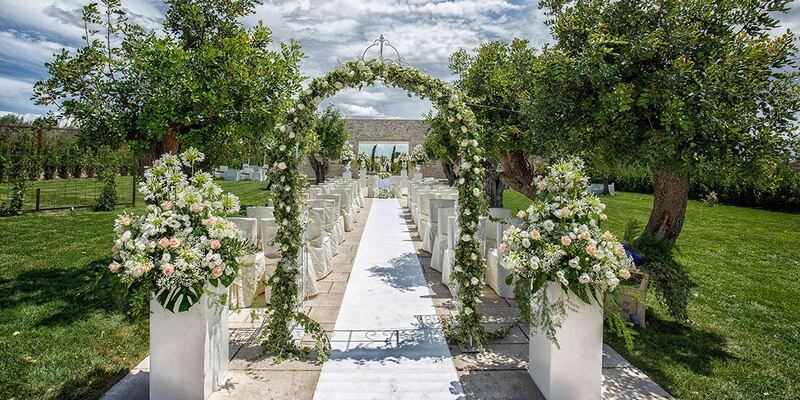 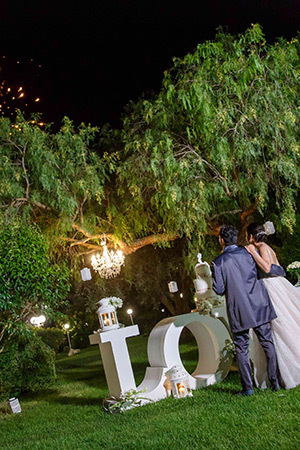 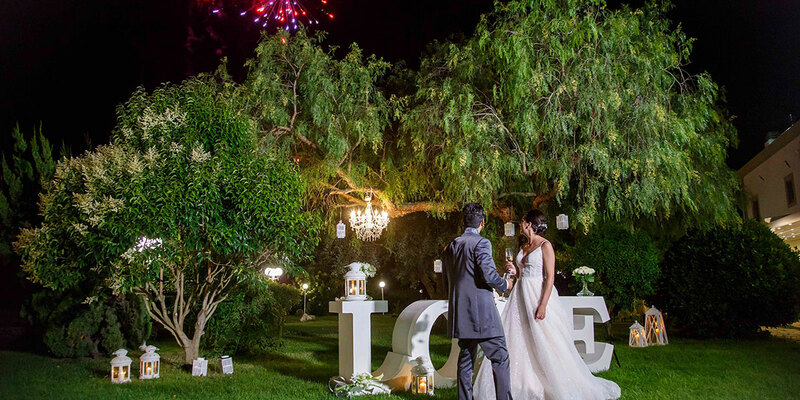 Far from the city rush and chaos, in the charming pedegarganico landscape, Casale Cisternino proposes itself as the ideal venue for a unique reception. 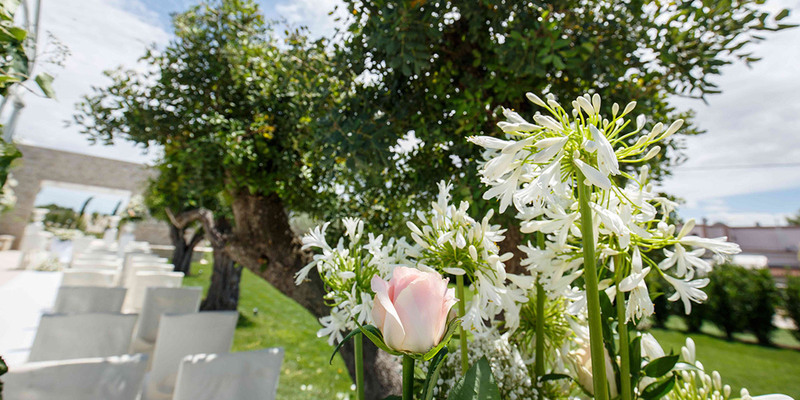 The Casale is hosted in a wide park. 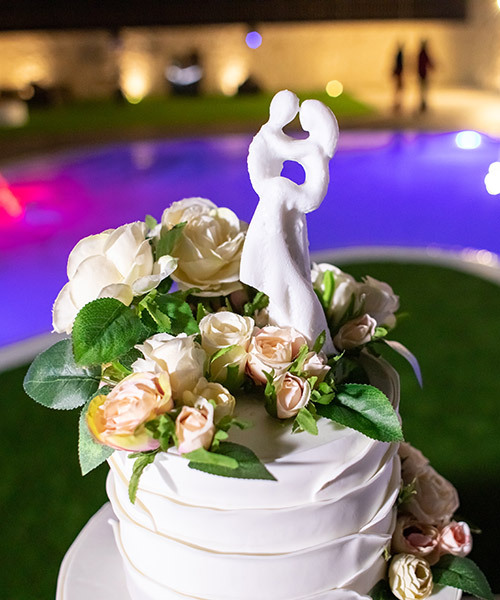 Casale Cisternino relys on an external pastry shop, that can satisfy all the requests and can realize every kind of wedding cake. 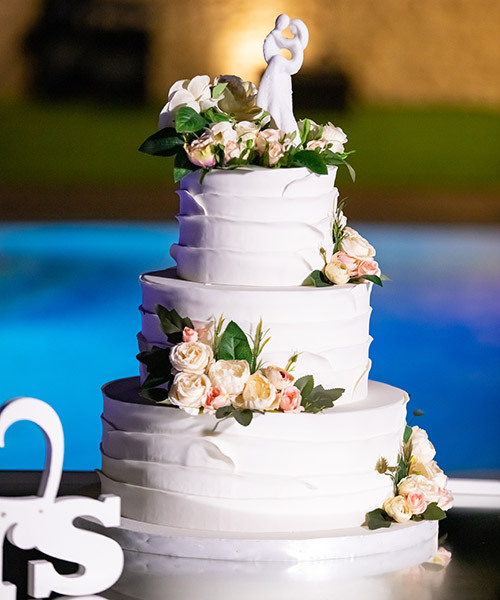 The cakes, that are made by using high quality ingredients, are customizable. 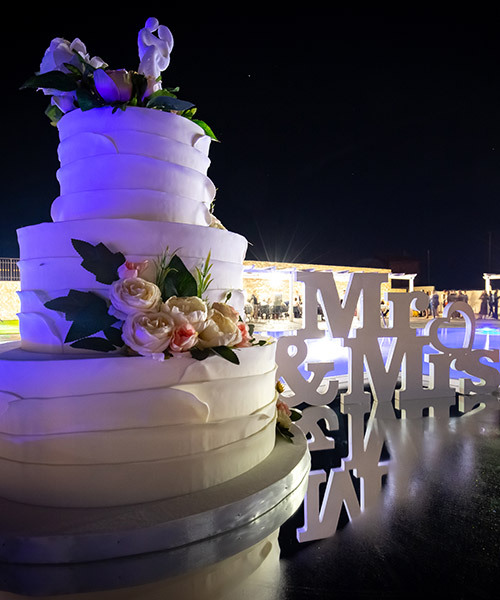 Our wedding cakes, thought as an expression of balanced taste, will leave everyone speechless for their elegant decorations and the excellent taste. 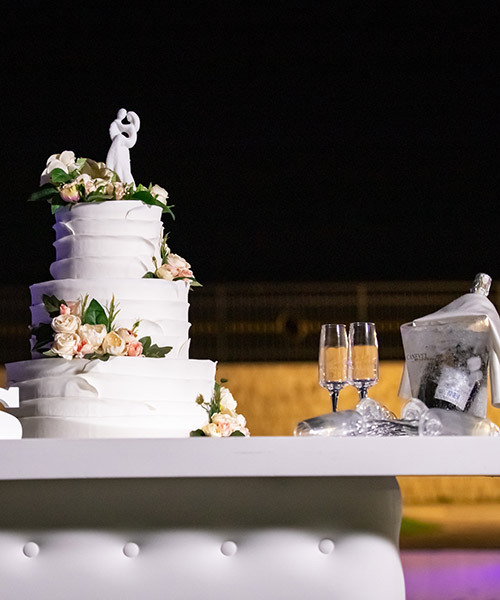 A clear expression of the experience of the confectioners.